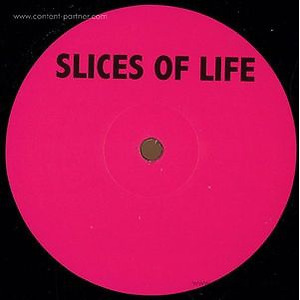 Slices Of Life celebrates the 10th release with a two-part vinyl compilation: SOL10.1 and SOL10.2! 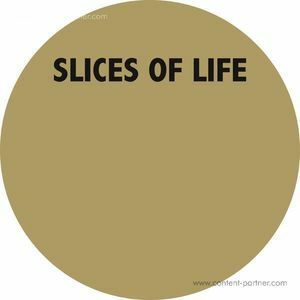 For the 10th release label owner Barbara Preisinger is gathering seven unreleased tracks on two seperate 12inches, by previous Slices Of Life artists as well by producers who have a relationship to the label through frindship, events and personal support. 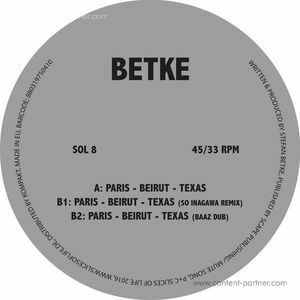 Each track presents the personal unique style of it´s producer, but all have a feeling for warm sounding organic house grooves in common, what Slices Of Life stands for since the beginnings in 2009. 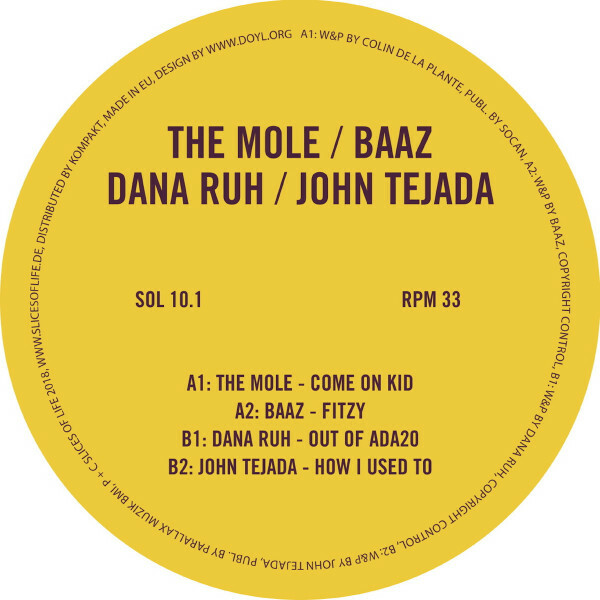 On the first 12inch, SOL10.1 THE MOLE, BAAZ and JOHN TEJADA excite us with an extension of their previous Slices Of Life repertoire with 3 further timeless pieces of House Music: Trippy and soulful (“Come On Kid“), deep and percussive (“Fitzy“), minimal and playful (“How I used To“). DANA RUH celebrates her debut at Slices Of Life with “Out of ADA20“: an upbuilding sunrise track carried by a driving beat and thrilling string lines. 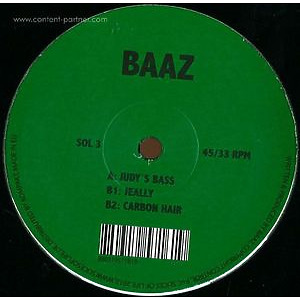 November 9th 2018 the 2nd part, SOL10.2 will follow with exclusive tracks by DJ DEEP, CAB DRIVERS und OSCAR SCHUBAQ.